With a 4GB hard drive and built-in Wi-Fi and Bluetooth wireless support, the LifeDrive mobile manager from Palm lets you easily carry all the essentials of your busy life. 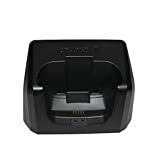 Both Open Box and Blemished items are tested for: (where applicable) audio, battery, Bluetooth, button functions, digitizing, display, slider, infrared, Ram/Rom, SD card slot, and serial functions. Our test center is authorized and supervised by Palm to insure only the highest quality products are shipped. Open-box units may display minor cosmetic imperfections and blemished units display moderate wear. 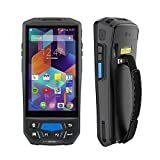 An all-in-one Android powered handheld mobile computer and barcode scanner for the most demanding applications. Enable field work to be more efficient in extreme outdoor and industrial environment, help users collect accurate real-time data and work more productively. Chips: M1 card (S50, S70), CPU card, NFC tags, etc. 1D barcode Symbologies: UPC/EAN, Code128, Code39, Code93, Code11, Interleaved 2 of 5, Discrete 2 of 5, Chinese 2 of 5, Codabar, MSI, RSS, etc. 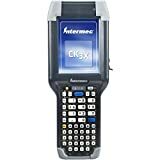 2D barcode Symbologies: PDF417, MicroPDF417, Composite, RSS, TLC-39, Datamatrix, QR code, Micro QR code, Aztec, MaxiCode; Postal Codes: US PostNet, US Planet, UK Postal, Australian Postal, Japan Postal, Dutch Postal (KIX), etc.